A TRIP TO TERRIFIC TOWER HAMLETS! Earlier this year I was delighted to learn that ‘Smart’ was one of six books shortlisted for the excellent Tower Hamlets Book Award. This is a really well organised award where lots of local schools get very involved in reading and voting for the books. 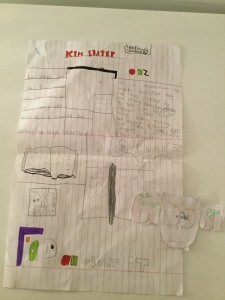 The organisers, Tower Hamlets Schools Library Service (SLS), also run fantastic competitions alongside the award that the children are encouraged to enter, such as Design a Bookmark! I was excited to spend two days in the vibrant borough of Tower Hamlets visiting schools, organised by Authors Aloud UK and the SLS. I was struck by how enthusiastic the children were at all the schools. 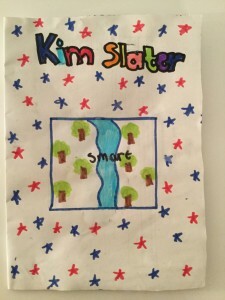 Lots of children had read ‘Smart’ and there were no shortage of really good questions about the book. I was amazed to see how Tower Hamlets is edged by the giant skyscrapers of Canary Wharf and how some of schools even had views of the iconic Gherkin and Shard buildings from their school hall! This really reminded me of Lowry’s art, which plays such a central theme in ‘Smart’. Lowry lived in Manchester for most of his adult life and painted industrial scenes with tall buildings and big factories surrounding people’s everyday lives. The Tower Hamlets children live in a similar dramatic landscape and we were able to explore this a little together. 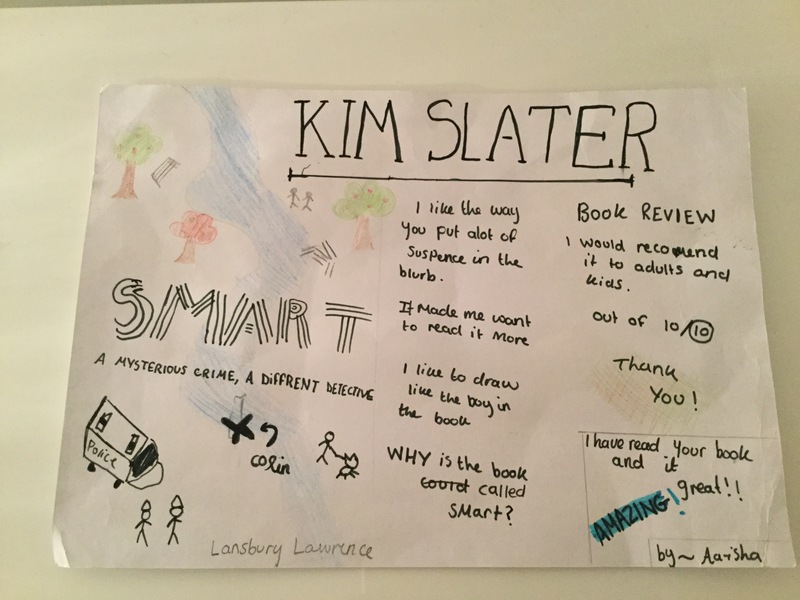 I ran a ‘Smart and Art’ workshop at each school which started with a talk about how I became an author, featured some readings from ‘Smart’ and an interactive section where we explored the art of LS Lowry in the novel. We finished with a Q&A session and a book signing. 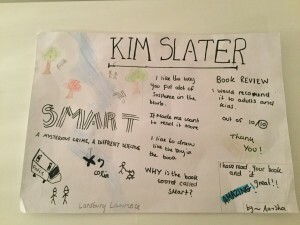 In every single school I visited, the children were very perceptive and really got into the head of the main character of the book, in order to comment on the art. On Weds 11th November I visited Our Lady & St Joseph Catholic Primary School and also Marion Richardson Primary. I was due to visit Osmani Primary also, but sadly they had to cancel last minute due to unforeseen circumstances. I met Sylvia and Kalsuma from the Tower Hamlets SLS who ensured the day ran smoothly and organised a supply of books. On Thursday 19th November, I was looked after by Shajan from the SLS and together we visited three schools. These included the very impressive facilities of Swanlea School, where I met Manjot, their librarian and also Lansbury Lawrence Primary and Kobi Nazrul Primary. I was so touched and impressed to receive wonderful artwork from some of the children at Lansbury Lawrence Primary. It was evident that hours of hard work and effort had been invested and I’m truly grateful and love each and every piece of work. 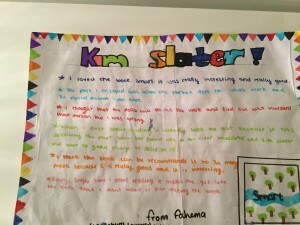 I’ve featured some of the children’s artwork below. . .
. . . and Fahema on the right>>. Thank you to all the Tower Hamlets children who took such an enthusastic part in the workshops and special thanks to the children of Lansbury Lawrence Primary who made such lovely artwork for me. Thanks also to the lovely school and SLS staff I met during my visits and to the excellent organisation of the two days by Authors Aloud UK. I am a BIG Tower Hamlets fan!! SMART wins the Tower Hamlets Book Award 2015!! News post to follow soon. 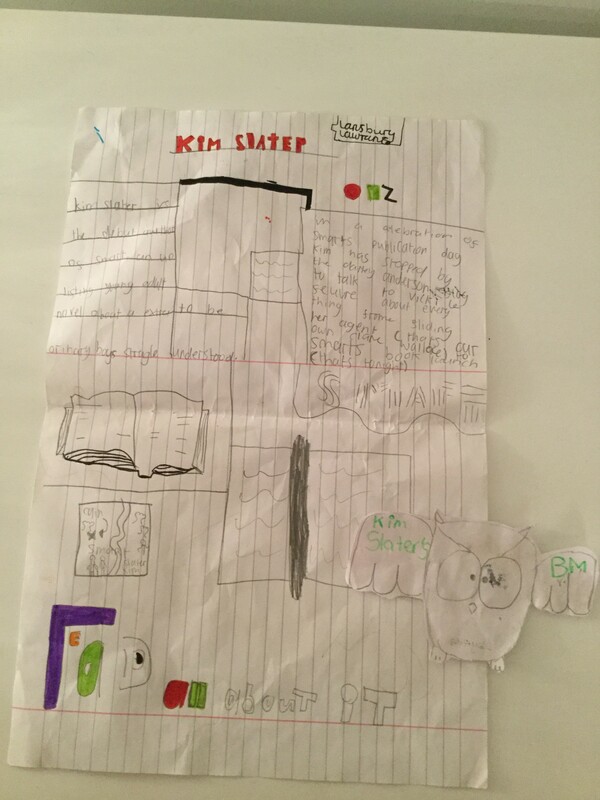 Well done Kim! 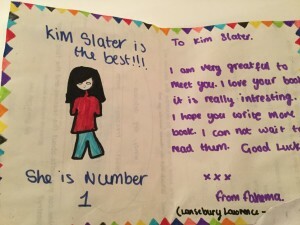 What a fantastic experience, sharing your book with the children – and the artwork generated is amazing! Thanks so much, Ruth . . . the children are so talented! Hurray! 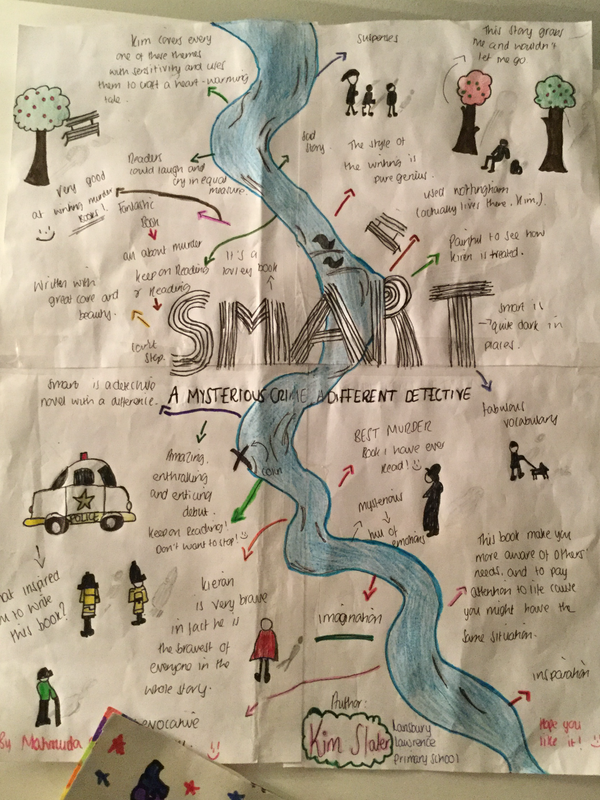 Thanks so much for your lovely messages, St. Paul’s C of E Primary…I’m so happy you love ‘Smart’ so much and your presentation was brilliant at the awards!